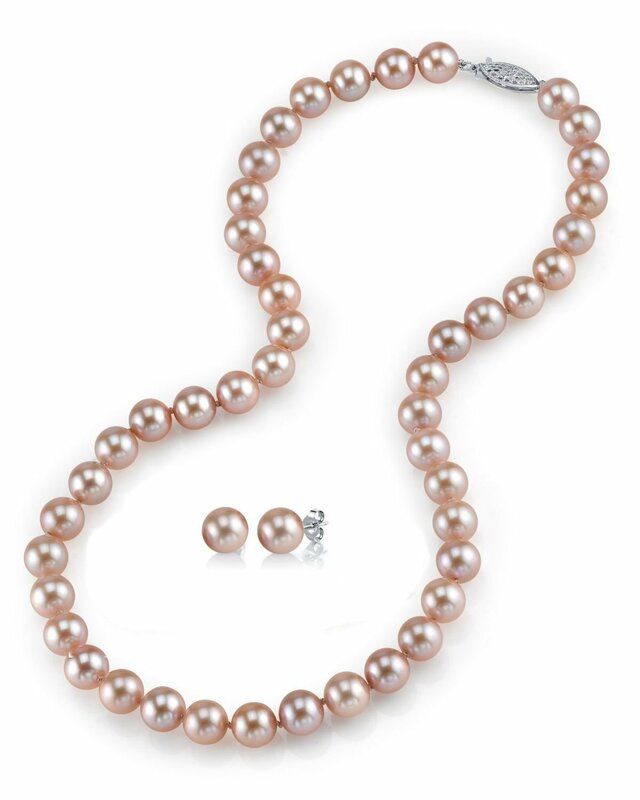 This lovely pearl set would make a great gift for any occasion! 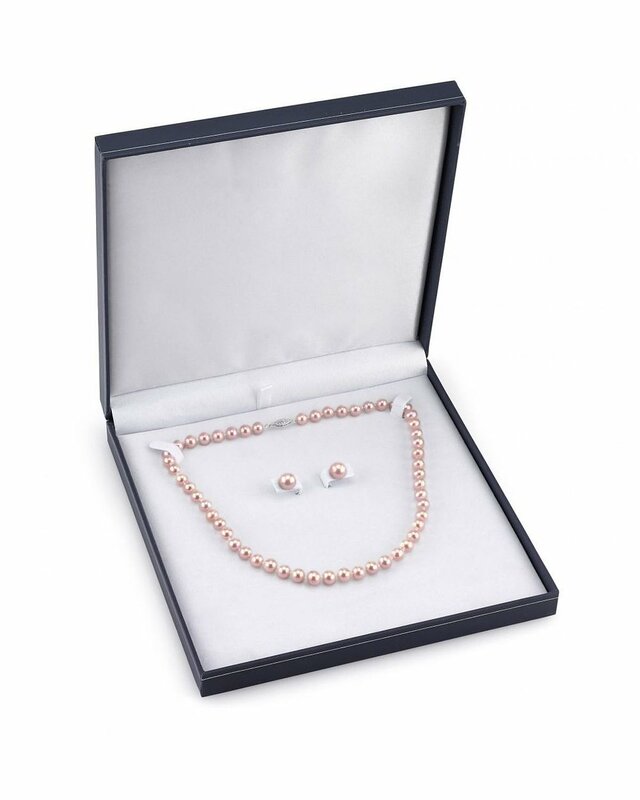 The set includes a gorgeous 9-10mm Pink Freshwater pearl necklace with matching 9mm pearl stud earrings. The set is available in either AAA or AAAA quality. The stud backings and clasp are both 14K gold and will be matched according to the gold color chosen. 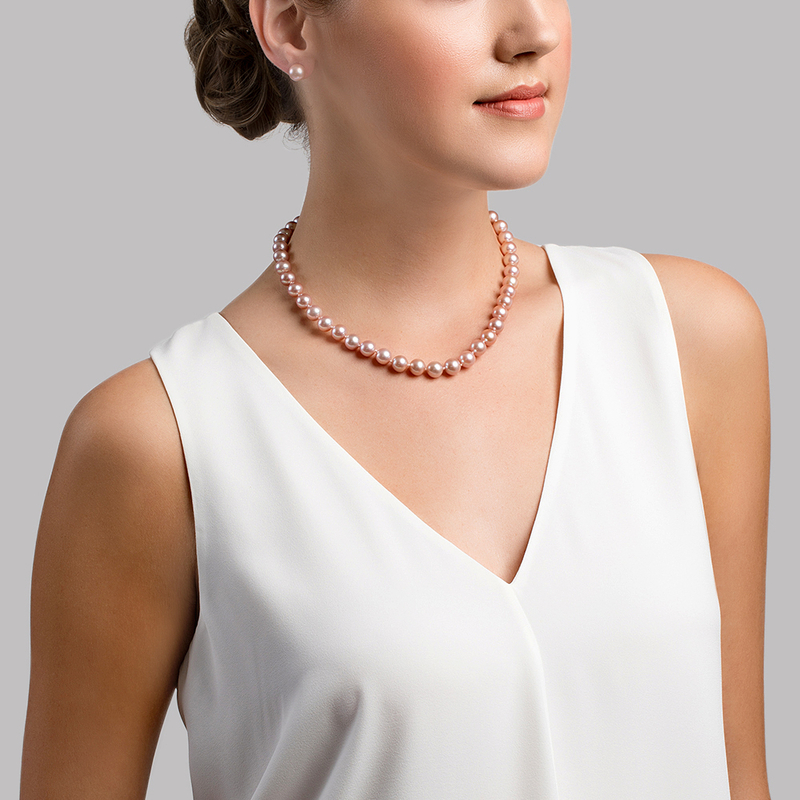 If you have any further questions, feel free to call us anytime at 1-866-87-PEARL (1-866-877-3275).